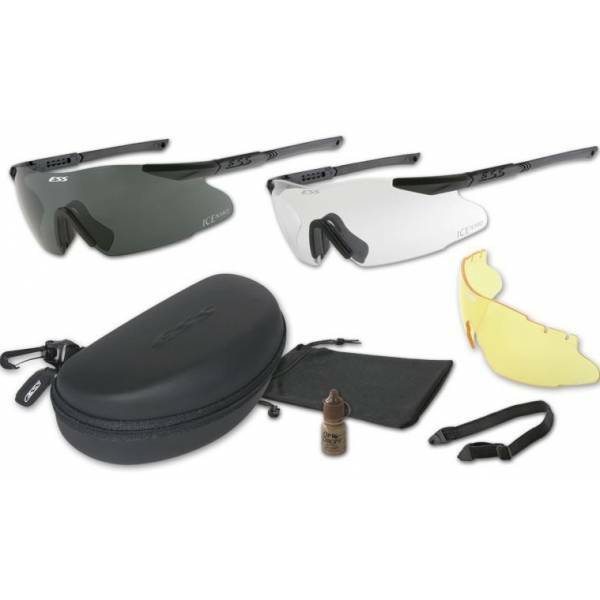 Ballistic glasses with three removable lenses - clear, yellow and grey. 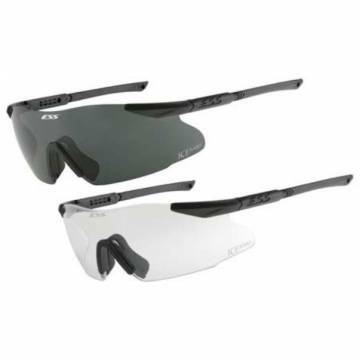 100% UVA/UVB protection and extra coating that protects from abrasions. The glasses can be fixed also with an attached strap. Adjustable, telescoping temples can be made longer or shorter for the best fit on every user. ESS Interchangeable Component Eyeshield ICE 3X NARO Sunglass Kits offer a lightweight, frameless Eye Protection System with the unique combination of high-impact resistance, unrestricted field of view, and interchangeable lenses for effective eye protection in any light condition. 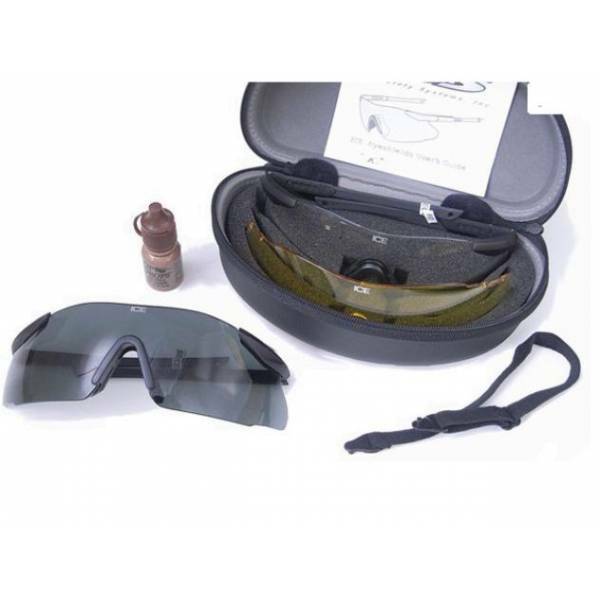 ESS ICE are top choice as EMC Safety glasses, shooting glasses, and frame less safety goggles for military, police, and firefighter personnel.